This breed is the legacy of Leendert Saarloos (1884-1969). Born from his great love of German Shepherds & desire to re-introduce qualities for a more robust, working dog he bred the German Shepherd male Gerhard von Fransenum to a female European wolf named Fleur in 1932. Saarloos are not wolves. Our modern dogs are eighty years & many generations from that founding mating. The Saarloos is an exceptionally intelligent, highly attuned & sensitive dog with a deep sense of pack requirement. They are more demanding than other dogs, especially as puppies & adolescents, but they adore company & happily mix with all breeds when socialised correctly. They have a heightened sense of purpose, an endless curiosity & are eager to learn. Readily trained by consistent kind methods, time & effort they make incredible dogs for an active family. They are not suitable as guard dogs. The Dutch Kennel Club recognised the breed in 1975 & in homage to it's creator, named it the "Saarloos Wolfdog". The Saarloos is recognised by the FCI-Standard N° 311 & although relatively unknown in the UK does not require any special license & can be insured with several UK companies. At maturity males stand 65–75cm & females 60-70cm with pronounced differences in appearance. Saarloos are strongly built dogs with good depth of chest, rising up through a well sprung ribcage to an athletic hind end & low set tail. Their long limbs, good hocks & pasterns ensure fluid, ground covering movement. Coat colours are shaded light to dark, Wolfgrey (Boar) black-tipped with black pigment & Forest (Hare) brown-tipped with liver pigment. 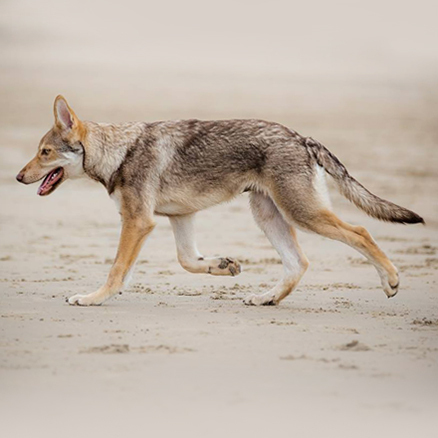 Pale markings, typical of the wolf extend through the underside of the body, the inner side of the limbs, backside of legs, breeches & under the tail. Both colour varieties show a darker nuance on the outside of the limbs & should present an expressive mask. Hello! We are Donna & Richard Jones of Accalia Saarloos, now based in Wales. 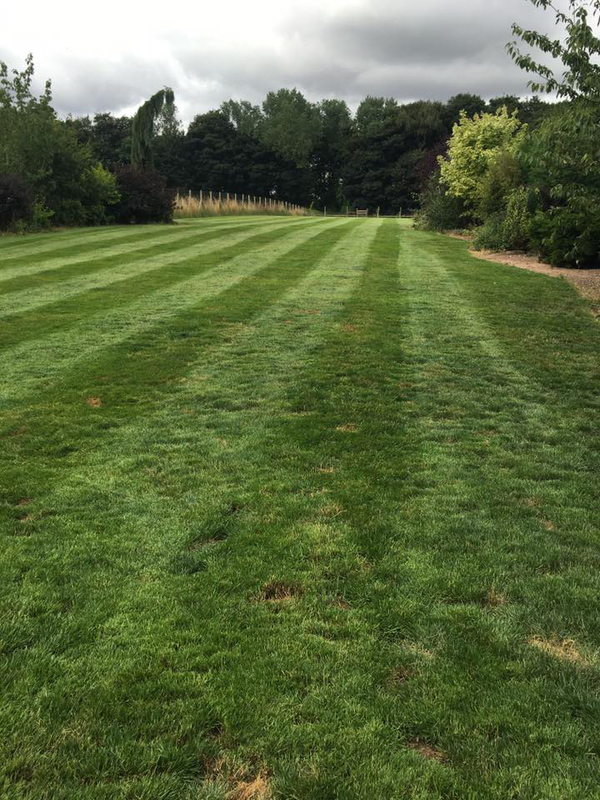 Our kennel is an extension of our much loved family pack & we pride ourselves on being guided by many of the best breeders across Europe. Over the next few years we aim to slowly & eithically breed sound, health tested puppies & raise them in an experienced & loving home environment. Prospective owners will be vetted to ensure our puppies enjoy long & happy lives as part of their family. We offer free holiday boarding for all Accalia puppies & require a lifelong return to breeder contract is signed. 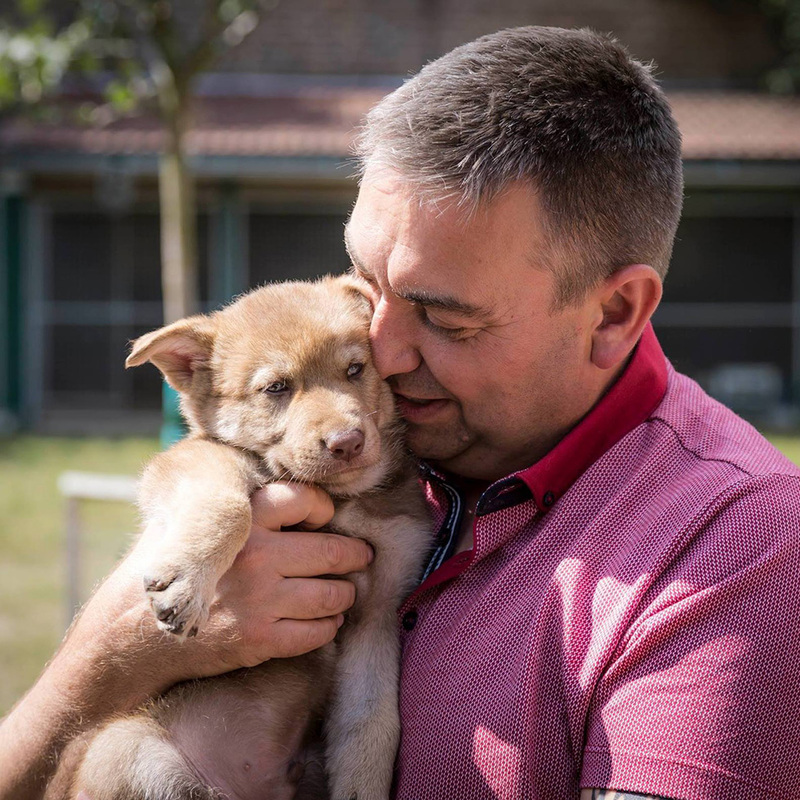 Each puppy will be microchipped, fully vaccinated, health tested, DNA profiled & FCI registered. Our honest, positive approach combines our own experience & the expertise provided to us from breeders across Europe - we are hugely grateful for their enthusiastic support! Proud to be the first UK Member approved by the Algemene Vereniging voor Liefhebbers van Saarlooswolfhonden (AVLS) , we will ensure our puppies reward their trust & showcase this beautiful breed.